Leroy şi Asociaţii is renowned for its legal knowledge and expertise in Projects & Infrastructure. 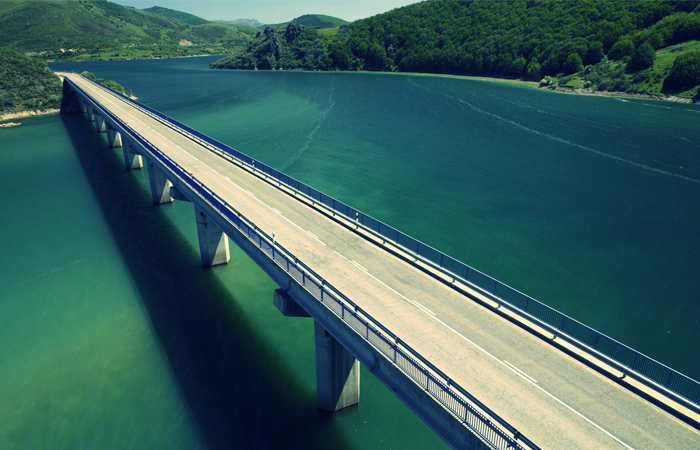 Our firm has been involved in high profile privatisations in Romania and in some of the largest public investment projects in infrastructure and outsourcing of public services. Our team has experience in advising clients from both private and public sectors, across large industrial groups, utilities companies, national and local authorities. The Projects & Infrastructure practice is a ‘one-stop-shop’ for all aspects in relation to the development of public projects. Our expertise includes setting up various forms of partnerships between the public and the private sectors, such as concession agreements, BOT arrangements, management agreements, and lease agreements. Leroy şi Asociaţii has been involved in some of the most significant Romanian privatisations. Our lawyers’ expertise is based on their exceptional transactional skills and in-depth understanding of the regulatory framework and privatisation procedures. Our team has a broad experience in assisting banks, international financial institutions and sponsors in high profile projects in the Romanian market. We advise clients on drafting and negotiating credit and security documentation relating to complex infrastructure and energy projects. Our team advises on all aspects related to public procurement procedures, ensuring bid compliance, comments and mark-ups on contract documents submitted during the tendering process, assisting in negotiations and advising on challenge procedures. Advising a consortium of major European construction groups in the infrastructure sector in relation to the submission of the winning bid for the award of a public works concession agreement for the design, financing, building and maintenance of the Comarnic-Braşov Motorway. Advising a research centre on its participation to public procurement procedures organised by a Romanian research institution for the award of a supply contract for a high intensity gamma beam system to be commissioned in Măgurele, Ilfov County. Advising a consortium of two leading Romanian banks on a EUR 100 million financing for the development and modernisation of the Henri Coandă Bucharest International Airport. Advising a high profile company in the energy sector on the participation in the project for the construction, development and operation of the 3rd and 4th units of Cernavodă nuclear power plant. Advising the world’s leading helicopter manufacturer, that also provides equipment for the defence sector, on the preparation of its offer in the public procurement process for the acquisition of 40 helicopters by the Romanian Government. Advising an important player in the Romanian upstream oil & gas sector in relation to the public procurement procedures organised by the largest oil & gas producer in the SEE for the award of a production enhancement services agreement. Advising the concessionaire of water supply in Bucharest on a joint venture between a French water treatment company and the Municipality of Bucharest, with respect to the financing and construction of a water treatment plant. Advising the Argeș County Council on the preparation of the award procedures for several concession agreements in view of ensuring an integrated waste management in the Argeș County. Advising a major German gas company on the acquisition of a majority stake in a Romanian national gas distribution company. Advising major European companies acting in several sectors (helicopters, water treatment, meal vouchers, banking & finance) on the preparation of tenders in public procurement procedures organised by Romanian contracting authorities. Advising an operator in the waste management field in relation to a broad range of day-to-day legal matters related to the operation of a waste management system in the northern part of Romania and the termination of a concession contract for the waste collection activities (including the regulatory and labour aspects). Assisting a French company with activities in water management, waste management, public transport and energy services with a revision of the public procurement contracts (services, supply, works) used by the company in their procurement activities.